For better or worse, Toronto has a rich history of projects that never got past the planning stage. From subway lines to sports stadiums, the city's archives are littered with blueprints for buildings and infrastructure that never came to fruition. These also include condo developments, many of which were deemed just too damn tall for this conservative city. Here are 5 condos that were proposed but never built in Toronto. No, this project didn't get killed, but it sure got knocked down to size during the design review process. Some will think this is a good thing, while others will note that Toronto refuses to embrace bold design visions. Gehry's original plans called for three towers in excess of 80 storeys and the destruction of heritage buildings, which the city rejected before a two tower compromise was reached. 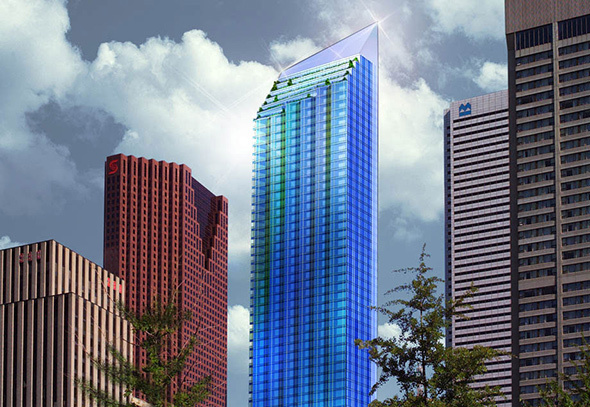 Toronto developer Harry Stinson had big dreams for his blue tower at 66 Temperance St., which at one time was proposed at a soaring 90 storeys. Plans were eventually scaled back after the city rejected the plans on account of the shadow the building would cast over Nathan Phillips Square. The humbler version never materialized as Stinson filed for bankruptcy in summer 2007. 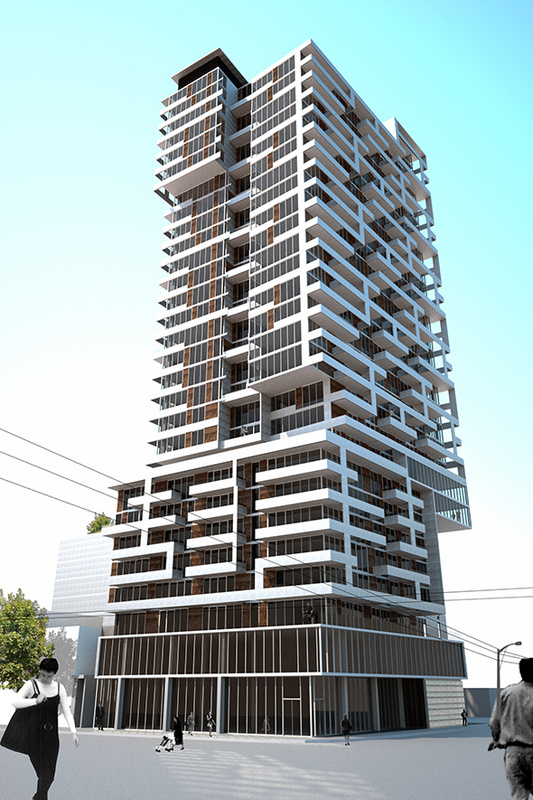 This one isn't quite dead yet, but the City of Toronto has rejected the initial proposal to erect a 43-storey condo between Jarvis and Mutual streets just south of Carlton Ave. The application was rejected for its overdevelopment of the site and the shadows that it would cast over Allan Gardens. An OMB hearing is scheduled for March 2017. In the interim, the historical property on the site burned down. Sometimes the city gets it right. 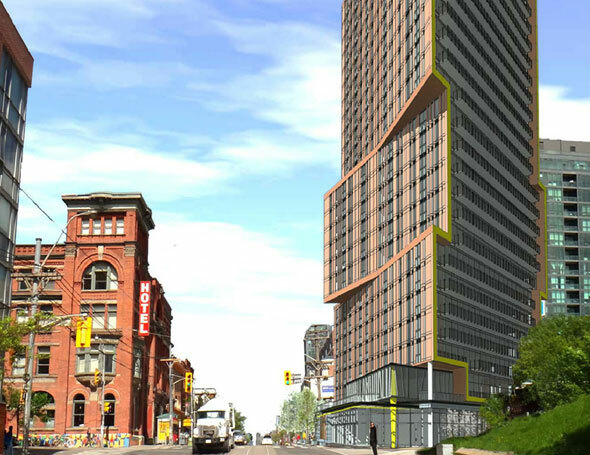 This 26-storey tower was proposed for the wedge-shaped site across the street from the Gladstone Hotel. The area has proven it can support such density, but at this particular site the impact on the street would have been terrible. A more modest proposal is now under review. Those passing by Bloor St. and Dundas St. West have long been forced to absorb the eyesore that remains of the Giraffe Condos project, which itself would have been a gorgeous building. 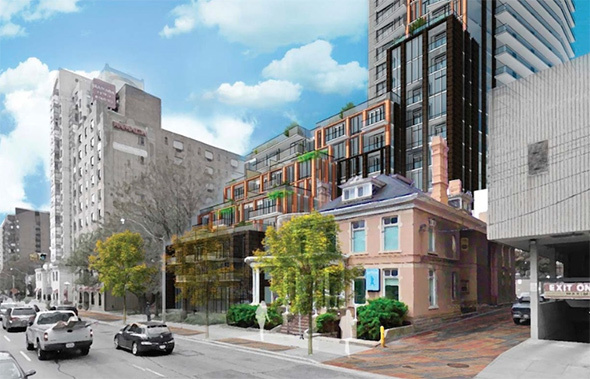 The TAS project was ultimately rejected by both the City of Toronto and the OMB because its 27-storeys were deemed too large for the neighbourhood, which has left the site in limbo since. Know of a rejected condo proposal worth sharing? Let us know in the comments.